AlMabarrah AlKhalifia Foundation held its February monthly meeting with Rayaat Scholarship Program students at the Bahrain Polytechnic. 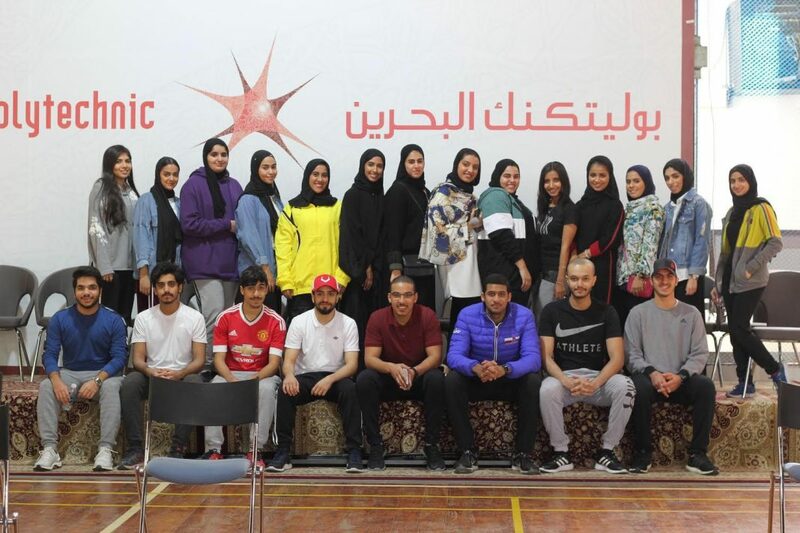 The meeting titled: “Fitness Day for a better life” highlighted the importance of a maintaining a healthy lifestyle during university and the years to follow. This comes in line with the Kingdom’s national celebration of Bahrain Fitness Day on February 12, 2019. The meeting hosted a number of health and sports experts, Abdullatif Al Maraghi, Sara Khalid, and Hawra Sameer. The experts addressed the importance of maintaining an active lifestyle by exercising regularly, selecting better and healthier alternatives, and consuming highly nutritious food. AlMabarrah AlKhalifia Foundation also expressed its gratitude to Latif Fitness Center and Sequential Health for giving out prizes to the students. Prizes included a one-month membership packages for training and diet meals. It is worth mentioning that “Rayaat” Program, launched in 2011, offers scholarships to students to enroll in any of the accredited universities in the Kingdom of Bahrain. Rayaat also offers other benefits, among which are incentives, workshops, and training opportunities in both the public and private sectors. “Rayaat” will also contribute to boosting a culture of social responsibility by fostering volunteering and social participation among students, within an encouraging and supportive environment. “Rayaat” program offers training sessions and workshops that aim to reinforce self-esteem, develop self-assertion, and enhance speaking, management and communication skills, with a focus on English fluency, giving students a good platform to engage in the market and fulfill their roles.